Both Balinese culture and Hinduism as the main religion here have affected the society in Bali immensely. The Balinese culture can be seen clearly in artworks of ancient ruins and various types of traditions. The traditional Bali dances began as a form of entertaining and gifting the deities who visited the place a long time ago. Dancers wear colourful costumes and move as gracefully as a flower in the breeze. This was and is still enjoyed by any audience. Balinese temples are usually the highlight among tourists who come here. Its unique architecture and designs are truly intriguing! Some temples that cannot be missed would be Pura Tanah Lot, Saraswati Temple and Segara Kidul Temple. Step out of your Seminyak Bali resort and hit the streets on a quest to find your souvenirs! The art and crafts that can be seen in the markets are ideal souvenir material as the culture and aesthetics of the Bali people can be seen in these. Perhaps you are residing in Anantara Seminyak Bali Resort, hopping into one of the museums located close by will give you a better insight into the culture and traditions of Bali. The Exciting Adventure of Rafting – Ride through Fast-Slowing Waters! Would you like to get to know the art of bobbing about in a boat? All nature lovers and thrill seekers alike can tap into the power of nature through an exciting rafting experience. 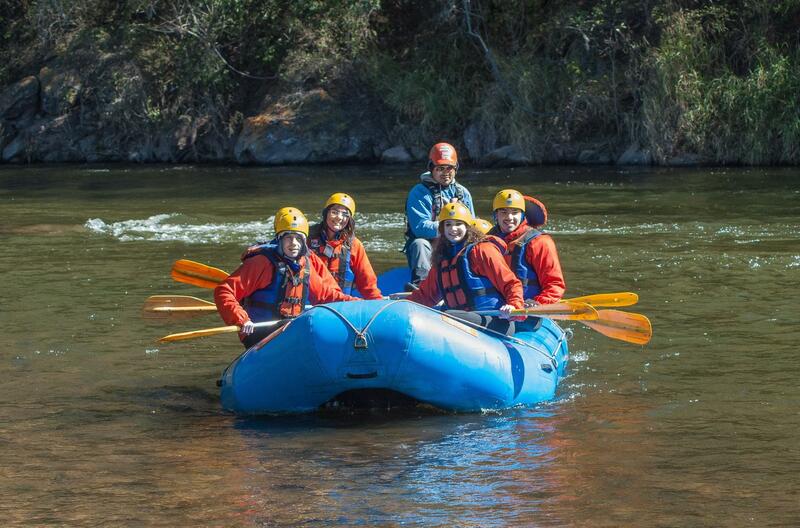 ‘Rafting’ is a recreational outdoor activity that requires paddling a raft through frothing and fast-flowing waters. Even though rafting is a thrilling experience, it also needs a certain degree of technical expertise and physical stamina. The first whitewater rafting experience was recorded in 1842 by Lieutenant John Fremont along the Platte River. Now, this sport has undergone a huge change from the boat design, equipment to techniques. Also known as the International Scale of River Difficulty, the water class classification system is designed to make the rafters aware of the conditions of the particular stretch of whitewater. There are six categories ranging from class 1 to class 6. The lower end of the scale, class 1 represents small rough areas whereas class 6 indicates the opposite of it; a real possibility of danger! Looking to add a bit of variety to your water rafting experience? Specific techniques like punching, high-siding, low siding and ferrying are utilized by many rafters to manoeuvre through obstacles. If you are holidaying at a Seminyak Bali resort the likes of Anantara Seminyak Bali Resort, you’ll get the opportunity to navigate the longest river in Bali with an experienced travel guide. Planning reduces risk and it will give you worry-free fun! Make sure that you wear the most important safety equipment, the PFD properly to ensure safety during your trip. Consider the weather conditions before you set off!